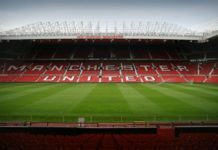 Home UK Football News Premier League | News Chelsea manager picks out positives from the Liverpool loss: Were there any? Chelsea were beaten 2-0 in the Premier League at Anfield this Sunday courtesy of two second-half goals from Mo Salah and Sadio Mane. The match was pretty evenly balanced for the first 45 minutes of the game but it all swung in Liverpool’s favour after those two quick-fire goals and unfortunately the Blues could not recover. 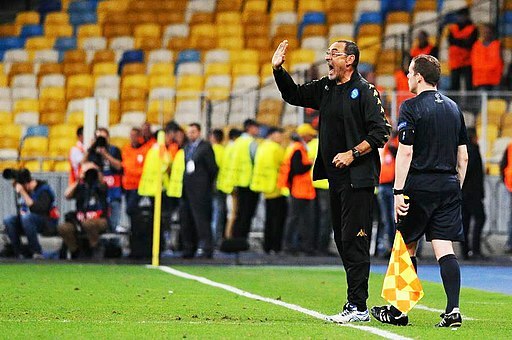 But despite the loss, Sarri feels there were a number of positives which came out of the match. “We played a good match against wonderful opponents,” he told Sky Sports. “We stayed in the match for 50 minutes. “After the second goal – a shocking goal in a good way for them, but not for us – we reacted. “We had two or three opportunities to score after the second goal with Eden and Higuain. We were not lucky for sure. We hit the post for the 35th time in our season. Chelsea did manage to up the temp immediately after the tempo immediately after they went 2-0 down. But unfortunately, they failed to create anything out of it. Next up, the Stamford Bridge outfit welcome Slavia Prague in the Europa League and they only have a 1-0 lead from the first leg. 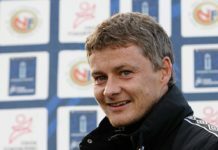 Next articleArsenal join the race to sign ‘this’ 30 Y/O defender: But can ‘they’ get past Man United?